Location: Rockefeller Center, Manhattan, NY. Size: 350 M2 / 3500 SF. 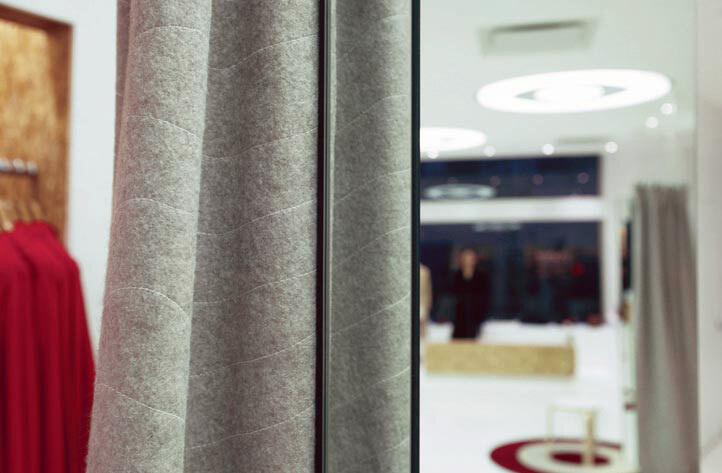 As Target’s only presence in Manhattan at the time, the new store needed to embody the spirit, sophistication and fun shown in Target’s ad campaigns. At the same time, the store was only meant to be open for six weeks and needed to be cost effective. The design utilizes everyday materials such as oriented strand board and Tyvek as finishing materials. 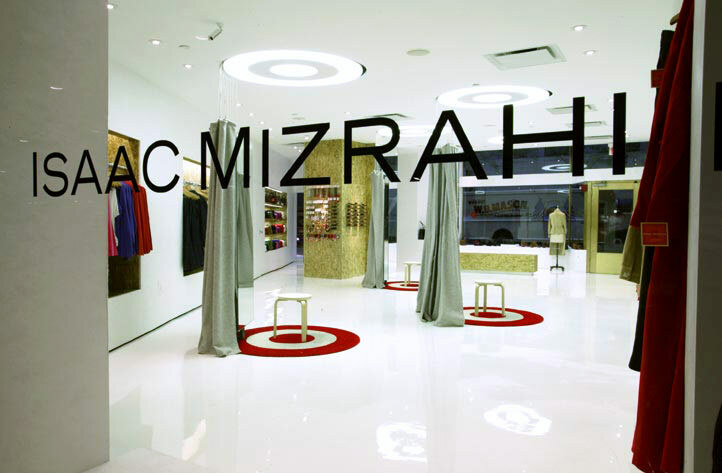 These are combined with more polished treatments such as a white resin floor and custom designed mirrors and lighting fixtures to create a understated yet complex backdrop for the new Isaac Mizrahi clothing line. The space is designed as a wedge, drawing people in from the street. 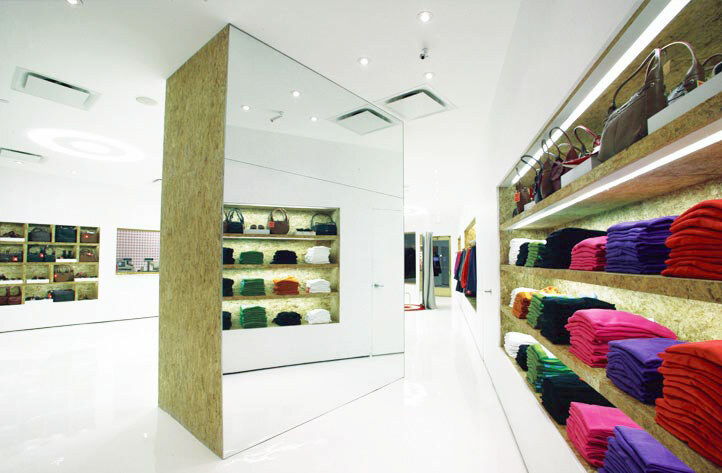 Two walls maximize the amount of space available for hanging display and establishes the dressing room zone that is the center piece of the store. 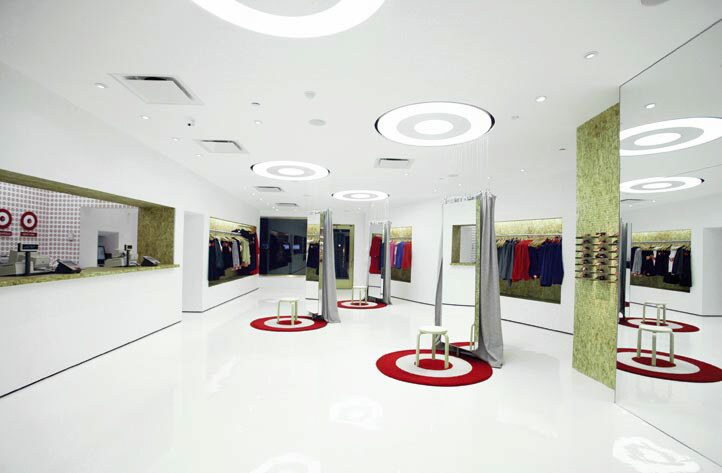 Four custom designed Target lights are installed in the ceiling with floor length curtains attached which creates a series of cylindrical dressing rooms at the center of the store.